The best company to turn to for house extensions in the Hilton Head, South Carolina, area is Porch Outfitters. We are full-service home renovation specialists that have earned an outstanding reputation for building additions that are tailored to our customers’ unique needs and preferences. To ensure the quality of our work is second to none, all of our projects are completed by our own team of highly experienced employees – not subcontractors. Plus, all of our work is backed by a lifetime workmanship warranty. For our unwavering commitment to quality, we have long maintained an A+ rating with the Better Business Bureau. 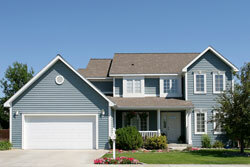 As full-service remodelers, Porch Outfitters can complete every aspect of our customers’ house extensions. For example, we can attach an in-law suite to your home in Hilton Head, SC, complete with a full kitchen and bathroom. What’s more, because our work is custom, your addition will blend seamlessly with the rest of your home. Additionally, Porch Outfitters is the go-to company for homeowners who want to enhance their homes with an outdoor living space. We can build everything from open-air porches to screen enclosures to sunrooms, helping you to make the most of your outdoors space. To learn more about the house extensions that Porch Outfitters builds on homes in Hilton Head, SC, contact us today.